The Jersey Devil is a legendary creature and one of the world’s best-known cryptids. New Jerseyans have told Jersey Devil tales for almost 300 years. Alleged to roam the Pine Barrens of New Jersey, the Jersey Devil has become entrenched in the lore of the area. The legend stems from supposed events in 1735. A Pines resident known as Mother Leeds fell pregnant for the thirteenth time. She and her husband were not wealthy by any means, and her husband was a drunk. Mother Leeds, reaching the end of her tether, uttered words to the effect of “let this one be a devil”. Mother Leeds duly went into labor and the child was born. To begin with, the baby seemed perfectly normal, but after a few minutes it reportedly began to transform before the witnesses’ eyes. It’s said the baby began to grow horns, and talons sprouted from the ends of its fingers. The legend says that the creature then grew wings, hair appeared all over its body, and its eyes shone bright red. The hitherto beautiful baby had turned into a hideous, huge monster. It then killed its mother and tore the midwives to shreds, maiming and killing some of the other onlookers. Upon completing its murderous rampage, survivors attested that the creature flew out of the house and made for the desolate Pine Barrens, where it is alleged to have lived ever since. The beast is said to be taller than a man, with powerful haunches like those of a goat. It has also been described as having a human-looking torso and an enormous, hairy head — although descriptions vary greatly. In the decades that followed, locals have reportedly heard bone-chilling wails coming from the Pine Barrens. Brutally slaughtered animals were thought to be the work of the Jersey Devil. One week in January 1909 saw a frenzy of what was thought to have been Jersey Devil-related activity. Strange tracks were found in the snow. These prints went over and under fences, through fields and yards, and even across the roofs of houses. The cities of Camden and Philadelphia also began to report similar findings, so panic began to spread. This panic was heightened when bloodhounds refused to follow the trail of this mystery creature in Hammonton. Eyewitness accounts began to emerge, with the beast seemingly attacking people in various locations. Local police fired at it but could not bring it down. The residents of Mays Landing reported unidentified screams in 1960. 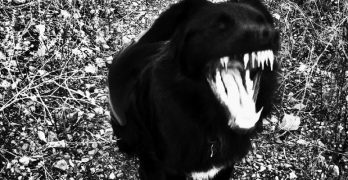 These screams were bloodcurdling and, although the police investigated, no explanation was found. In 1972 Mary Ritzer Christianson saw what may have been the Jersey Devil. She was driving from Blackwood to Glassboro when she saw a huge, winged creature crossing the road behind her car. 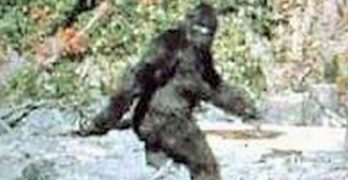 The creature was only about 25 feet away and she was able to make out its thick haunches and hairy head. In 1993 a forest ranger named John Irwin was driving alongside the Mullica River in New Jersey. He found the road ahead blocked by a strange creature. This beast was about six feet tall, with horns and black fur. He said he and the creature stared at each other for a few minutes before it bounded off into the forest. Two women said they were threatened by a creature while they were canoeing. The women had come across a bag that had been ripped apart. While they were investigating they found what seemed to be oversized horse’s hoof marks on the ground. Shortly after this, they heard an otherworldly cry that seemed to be filled with hate. They hastily beat a retreat but the creature followed them. They kept hearing it behind them as they frantically canoed along the river and returned to their vehicle. Making it back safely to their vehicle, they threw their things into it and drove away as quickly as possible. As they passed a cottage they saw another woman standing outside it. Her skin was torn and she was bleeding. Mysteriously, she suddenly vanished into thin air. nj.com, “13 times the Jersey Devil has been spotted in the Garden State”, accessed August 25 2017. James Wray updated Jersey Devil on 11 Sep , 2017.